The BBC is set to show the Wimbledon men's and ladies' singles finals in 3D, marking its first ever three dimensional broadcast and the 125th anniversary of the tennis competition. Working with Sony, we already knew that the Beeb was set to film the tennis championships in 3D, but when or if we'd ever get to see the footage. The broadcast will not cost you a button, provided you already have a 3D TV set and an HD tuner, showing as it is on the free-to-air BBC HD channel. The coverage will be broadcast live on 2 and 3 July, and is also showing at a small number of 3D cinema screenings. Danielle Nagler, Head of BBC HD and 3D, says: "I'm delighted that in this anniversary year we're bringing UK audiences a new way of getting close to the action on Centre Court. I'm sure that 3D will only add to the drama as the world's greatest players compete for the championship." 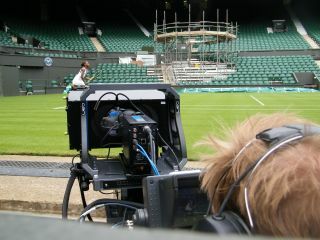 TechRadar recently sent an intrepid reporter behind the scenes at the illustrious tennis club to check out the 3D filming tech, which should whet your appetite for the two weeks' of tennis later this month.